You’ll be amazed at the difference tile can make in your home. If you’re tired of carpet and cleaning up constant stains, we can help. Gorgeous styles – Enjoy a look created just for your home that reflects your tastes. 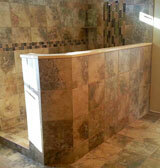 Since 2001, Tile Masters Inc. has been custom-creating and installing tile throughout Fargo and its surrounding areas. 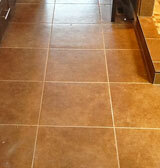 From tile floors to tile backsplashes, we do it all. We only use top-quality materials on both our residential and commercial installations, including stone, glass, porcelain, and ceramic. Come to us for custom showers, heated floors, fireplaces, tile floors and more! Your kitchen, living room, and entryway floors take on a whole new life when we are through. Your bathrooms also takes on a completely different look and feel with our incredible showertiles. 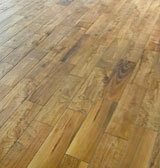 We also provide carpet and vinyl flooring installation. All our work is backed by a warranty.